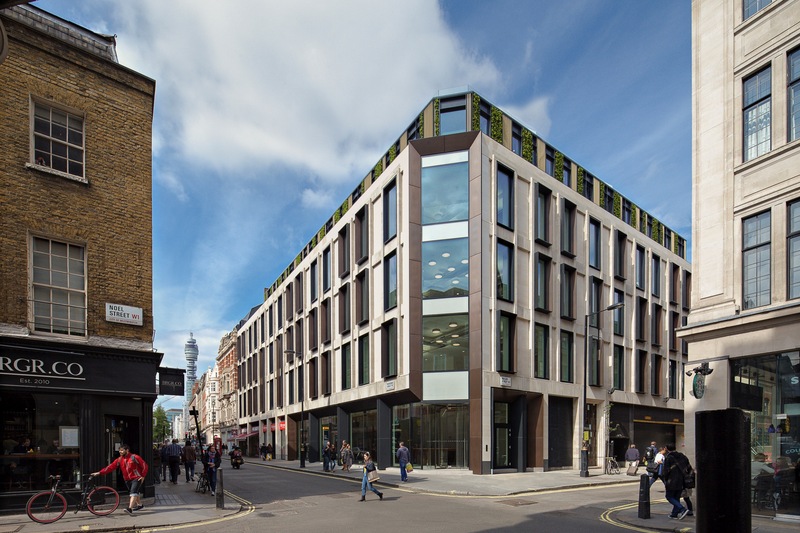 Located in the heart of Soho, London and originally known as the Quadrangle Building, 21-25 Oxford St, the project comprised a 1985 concrete framed structure behind the retained Edwardian façade of the original 1905 building. 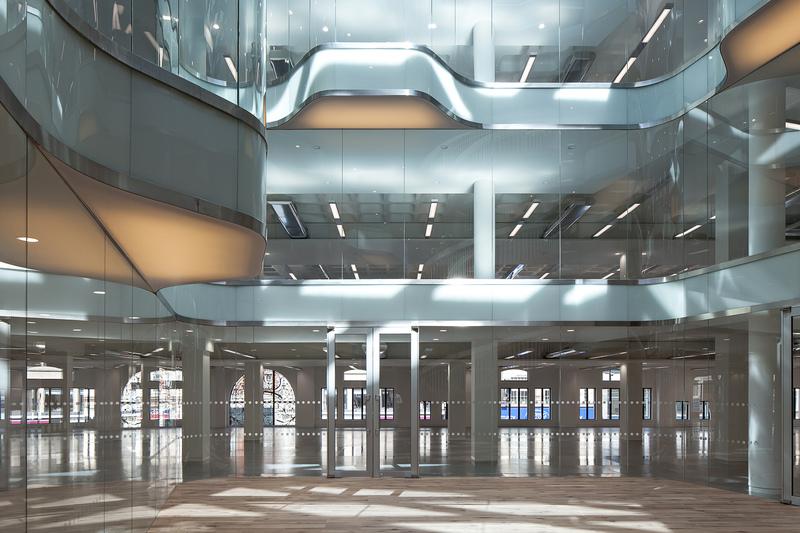 Conversion to the Ampersand required the addition of two new storeys of luxury residential apartments, atrium infill, core relocation and major general refurbishment, all to be carried out while the retail tenants at ground floor and basement levels remained on site. 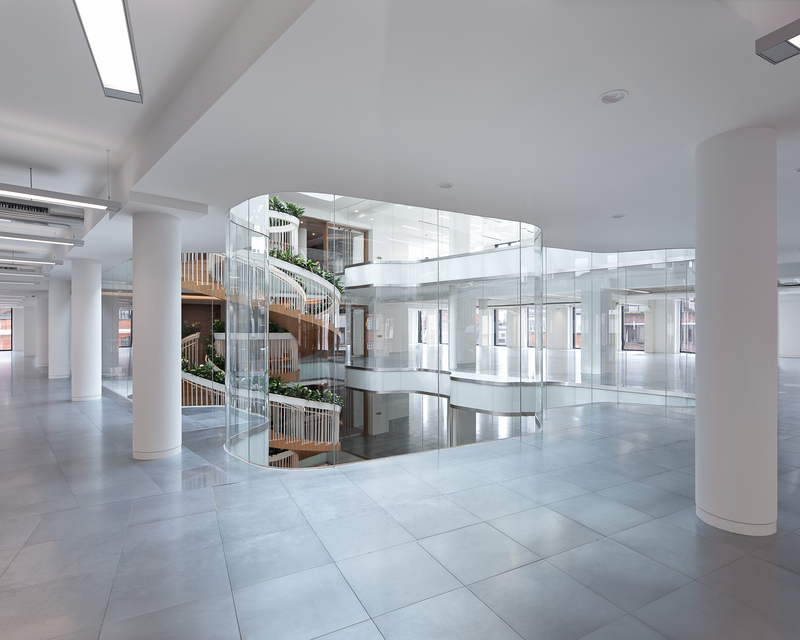 The building’s unique feature is “The Living Staircase”- a central oak spiral staircase planted with a variety of green plants providing central seating and meeting areas, and bespoke light fixtures that double up as inspiration ‘pinboards’.